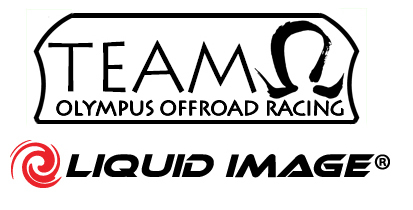 Parker Colorado – October 3 2013 Olympus Offroad is excited to announce Liquid Image as a Title Sponsor. Liquid Image will be fulfilling all media capturing needs. Olympus is an up and coming team that will be bringing 4 cars to the track in 2014 to Ultra4 and Dirt Riot. Olympus finished on the podium in their first two starts if 2013. Olympus is a US based team included Owner and Team Driver Daniel Sach – Team Driver Keith Sach – Team Driver John Caughney – Team Driver Chet Kittle – Travis Decola Team Codriver and shop manager- Matt Parker Team Codriver –Samuel McIntyre Marketing Advisor and Jessica Folk Marketing Advisor. “We are excited to be using the new Liquid Image Ego, a small mountable camera, and the Torque HD Google mounted cameras to document our races, pre-runs, events and everything we do! Watching race replays tuning and pre runs we helps to make us better drivers as well as show what we do to the world from a different perspective.” – Daniel Sach Liquid Image brings their years of experience from their time in Motocross, Torc truck racing and Lucas Oil Off-Road Racing Series to Olympus and the partnership solidifies the ever evolving future of Olympus Offroad Racing.